The Puppy Starter Pack includes: Puppy Shampoo, Training Pads, a Toy and a Chew! 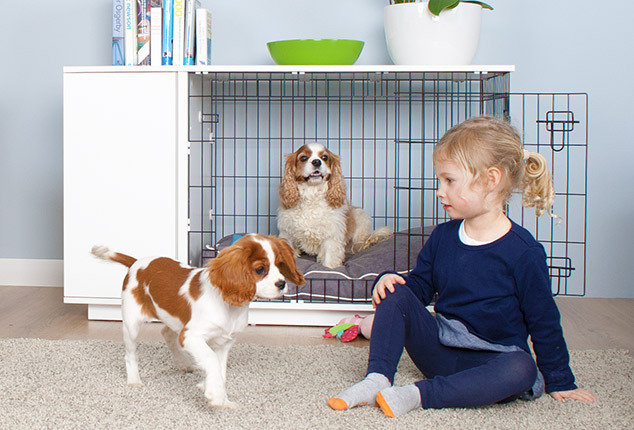 Free Puppy Starter Pack is only valid with orders of the Fido 24 or Fido 36 Dog Crate in white or walnut. Items in the free bundle are subject to change. The offer is only valid from 8/3/18, for the first 100 orders. Subject to availability. Omlet ltd. reserves the right to withdraw the offer at any point. « Barking Mad for Crufts 2018!